You take your car for preventive maintenance on a regular basis. Engine oil, spark plugs, filters, wipers, and tires are five important things that need attention in order to stay safe on the road. But most people don't give a second thought to staying safe online. Here are five things you should keep in mind to "tune up" your computer against malware, hackers and data thieves. 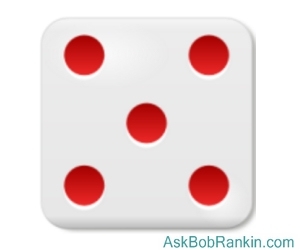 Failure to do so is like rolling the dice, and hoping to beat a set of odds that are stacked against you. 1: Update all of your software, from device drivers to applications to the operating system. Automatic software updates are the easiest, most consistent way to go. Activate it in Windows Update, and in every application software package you have that offers automatic updates. Then install a “universal” software updater, such as Patch My PC. It catalogs all software on your system, and finds your stuff in its database of several thousand develper sites that it monitors for new updates. When a new update that you need appears, PSI downloads and installs it automatically. See my article Keep Your Software Updated, Or Else! for links to Patch My PC and other related tools that will help you safely install and update your software. 2: Activate two-factor authentication everywhere you can, on your devices and on all sites that offer 2FA. It may seem to add another layer of complexity that slows you down, but the opposite is true. My article An Extra Layer of Security describes how to use 2FA. Here is a riddle whose answer will seem heretical: When is it safe to use “password” as a password? No, I have not lost my mind or been paid a bribe by the hacker community. The answer is, when you have two-factor authentication (2FA) enabled! Even if a hacker guesses your password on the first try, they can’t get into your account without the second authentication factor - a code sent only to your phone number, or a USB key in your pocket, or your fingerprint, or a scan of your retina, or whatever. Another mind-blowing observation: it is safe to use the same, simple password on all sites where you have 2FA enabled; again, because the second authentication factor will be unique and unavailable to a hacker. I'd still advise against doing that, as a best practice, though. Google and Facebook call 2FA “login approval,” while Twitter and Microsoft calls it “login verification.” Your bank may call it something else. Inquire about 2FA and use it wherever you can. For other things that need passwords but don’t offer 2FA, use a password generator/manager such as RoboForm, LastPass, or Dashlane. It not only generates strong passwords for you, it stores them in an encrypted database and changes them regularly. All you need to remember is your master password. 3: Encrypt your storage devices so that even if your laptop or phone is stolen, its data cannot be read without the encryption key. Windows 7, 8.1, and 10 include Bitlocker encryption. VeraCrypt is the free, open-source successor to the popular but now defunct TrueCrypt. Android and iOS have encryption enabled by default. Just remember that if you don't have a screen-lock pin or password, all the encryption in the world won't help you when your computer or mobile device is lost or stolen. 4: Reduce the “surface area” that exposes you to potential attacks on your privacy and security. Start by uninstalling of programs and apps that you really don’t need or use. Most software has at least one vulnerability; why leave openings for hackers lying around? Windows 10 offers finer control of app permissions. Type “privacy” in the Search box and open Privacy Settings from the results. The General tab lets you toggle broad categories of app permissions. On mobile, be careful to check the permissions that apps want (or already have). If you have the Android 6.0 or later operating system, you can open Settings > Apps, tap an app’s name, then tap App permissions. From there, you can toggle individual permissions on or off. Don’t neglect all the apps that you have given permission to access your Facebook, Google, Twitter, or other “identity” accounts. Go through the “app permissions” sections on each of your social media accounts and disallow apps you no longer use. Make use of the privacy and security checkup tools provided by Microsoft and Google, which I described in Tweak Your Microsoft and Google Privacy Settings. 5: Upgrade your security software. Last fall, I ditched Avast Antivirus and started using PC Matic's SuperShield. As I described in my PC Matic review, SuperShield uses a whitelist approach that allows only known-good programs to run on your computer. This is in contrast to other security tools that rely on blacklists of known malware. Did I mention that 350,000 new malware samples are discovered daily?? It's nearly impossible for traditional anti-malware tools that rely on blacklists to protect you from all existing and emerging threats. So far, PC Matic has caught several things that slipped past Avast. Most recent comments on "Five-Point Tuneup For Hacker Defenses"
I am surprised that there is no mention here of adding a dedicated firewall machine between your ISP's router and the house lan/wlan. This can be done very cheaply using an old box (Pentium II, Pentium, even 486 or why not for one or two users, a Raspberry Pi) running a sprecialized free distribution like IPCop or now IPFire. Cheap to install and to run, and will protect you from intrusions better than the software "firewall" offered in modern Operating Systems. I use WOT (web of trust) which says that PC Matic website has a "poor customer rating. I think I'll pass on the SuperShield part since you need to install PC Matic in order to get it. Unless there's another way to get just the SuperShield I can't find. Computer #1 (Laptop). This is ALWAYS connected to the Internet. It is used only for emails and surfing the web. Nothing else. I do transfer files via USB and this is the weak link. Hey! It's not perfect but it gives me some degree of protection. Why not use both; a good free conventional antivirus program and a good free whitelist antivirus program that both play well with each other? I happen to use Kaspersky Free and VoodoShield Free. I've been very pleased. Bob! Why do you *still* not include KeePass on your list of password managers? Fewer bells and whistles, but about £40 cheaper than the likes of Dashlane which always gets a mention. Every time it takes a loyal KeePass user, like me, in the comments to redress the balance, which usually prompts testimonials from others. KeePass is free, safe, reliable and easy to use — you usually do an excellent job of pointing your readers to the good free programs and utilities, why still not this one? I thought PSI no longer available. I last heard it was bought by a third party and after a while removed. I had it on my computer, but they updated it so it could no longer be used. @Stephe Another happy long term KeePass user here. This is an answer to Fred who says, according to a WOT, that PC Matic has a poor rating. I have used PC Matic ever since they came out and never had a problem until Windows decided that Super Shield was a virus. That was about 2 years ago, and it was resolved soon after. I have no complaints about PC Matic. I think the problem is that people are too lazy to give a good rating when things are going well. Why not just go to the wireless icon, right click, then click on disconnect when doing local, private work, then simply restore connection via reversing the procedure. Also, as noted here, pull the NIC cable to the commuter, or better yet the router,. and do the same. There is a law of the universe and it says that things, systems and computers when they get too complicated defeat themselves with complexity. We now have more software than hackers to protect from. Another law is (bad) creativity ALWAYS stays ahead of (good) ways to protect from.